Rickles, P., Haklay, M., Ellul, C., and Skarlatidou, A. (2017). Citizen Science with GIS&T. The Geographic Information Science & Technology Body of Knowledge (3rd Quarter 2017 Edition), John P. Wilson (ed.). doi: 10.22224/gistbok/2017.3.5. This entry was first published on August 19, 2017. No earlier editions exist. 2.1 Citizen Science is an area of interest that is quickly growing due to its inclusive practices and wide variety of meaningful projects. One of the oldest, the Audubon Society’s Christmas Bird Count, which started in the 1900s – initially 27 dedicated ‘birders’, in 2012, the project reported a registered 63,000 participants (Science Communication Unit, 2013). Ecological observation projects are well represented in Citizen Science because participants can collect data over wide geographic scales, long temporal scales and on private property. Passive sensing: participants use their own resources (e.g. their phone) for automatic sensing to contribute data for analysis by scientists. Volunteer computing: participants share unused computing resources (e.g. on their personal computer) with scientists to allow them to run complex computer models during times when the device is not in use. Volunteer thinking: participants contribute their cognitive ability, to recognise patterns and analyse information. Environmental and ecological observation: participants monitoring and recording environmental pollution or observations of flora and fauna. Participatory sensing: participants are actively involved with data collection and analysis, rather than those being entirely set and controlled by scientists. Community/civic science: in this form, the problem, data collection and analysis are carried out by community members, sometimes in collaboration with scientists. 2.3 Motivations for participation in Citizen Science projects may vary; Budhathoki, Nedovic-Budic and Bruce (2010) review motivations for the production of Volunteered Geographic Information (VGI) (described in 6.1) and classified them as intrinsic or extrinsic (see Table 1). Intrinsically motivated participants consider the activity a reward in itself, whereas extrinsically motivated ones may need to be incentivised through reward or coercion. In addition to positive motivations, Coleman, Georgiadou and Labonte (2009) note negative intentions that could act as motivation to participate. These could be to cause mischief, creating scepticism or confusion around the content; to push an agenda, which may in be done by introducing biased or purposefully misleading data; or with the purpose of malice and/or criminal intent for personal gain. Vigilance and healthy scepticism of data may help to target and avoid the spread of misinformation. 3.2 For the proposed models of citizen science projects, the framework that could be used for them, as put forward by Shirk et al (2012) considers the fundamental question of “whose interests are being served?” The framework is based on five elements – Inputs, Activities, Outputs, Outcomes, and Impacts (which are all elements of the Logic Model framework) – and is outlined in Figure 2. Outcomes – measurable elements, such as skills, abilities, and knowledge that result from the specific outputs of a project; these can be outcomes for science (e.g. research findings), for individuals (e.g. knowledge), and those for socio-ecological systems (e.g. action). In regards to engaging the public with these projects and across elements of the proposed framework, Shirk et al (2012) note that though this could be done across a large geographic area, there is still a need to consider how to create and sustain a community of participants. 4.1 GIS&T used for data collection and analysis of spatial information associated with locally relevant issues can aid Citizen Science projects, showing previously unidentified patterns that may lead to new areas of inquiry. Use of standardised or calibrated tools to produce outputs may add a level of scientific validity to reported occurrences through evidence and verification. It is possible for people to use their own geospatially-enabled devices (e.g. smartphone) to contribute data for projects. 4.2 The inclusivity of Citizen Science projects can empower people who may have previously felt disenfranchised or unmotivated to contribute. Focus, though, must be kept on the issues, rather than the GIS&T; some communities may not have access to the necessary technology, which may deepen potentially existing digital divides and information access inequalities. It should be noted that these new GIS&T users might struggle learning to apply such tools. Easily understandable, possibly bespoke, learning materials and toolkits may need to be distributed to those learning to use the technology, with the recognition that extra time may need to be devoted to those having difficulties. Any materials should minimise on discipline-specific jargon or explain concepts that may be unfamiliar to learners, but is necessary for use and understanding of tools. 5.1 A variety of methods to encourage and sustain engagement in Citizen Science projects with GIS&T exist, such as gamification of activities, crowdsourcing initiatives, mapping parties, and hackathons. Gamification, known as the application of game-design elements and game principles in non-game contexts, could be enabled in Citizen Science projects as a way of improving engagement through socialisation, competition and simply opportunity to discover new things (Bowser et al, 2013). Another useful method of encouraging participation is crowdsourcing, which is defined as the process where individuals or organizations solicit contributions from a large group of unknown individuals (“the crowd”) or, in some cases, a bounded group of trusted individuals or experts (Bowser & Shanley, 2013). Mapping parties may be held gathering people together to use paper and/or digital maps to crowdsource information and share it amongst participants or otherwise. Those with the necessary technical skills may also be able to participate in Citizen Science hackathons, which is a model of mass collaboration where volunteer software developers create new technologies, often as a one-off event with a prize or other reward (Bowser & Shanley, 2013). 5.2 When considering the use of GIS on Citizen Science projects, it must also be understood that the GIS goes beyond simply being a tool, but also becomes a vehicle for transformative change, following the practices of Participatory GIS (PGIS) and Public Participatory GIS (PPGIS). PGIS is said to celebrate “… the multiplicity of geographic realities rather than the disembodied, objective and technical ‘solutions’ which have tended to characterize many conventional GIS applications.” (Dunn, 2007, p. 616). Similarly, PPGIS recognises the conceptual aspects of GIS as a tool that has the ability to be used to engage the public in decision-making processes. This may be done through incorporating local knowledge, integrating and contextualizing complex spatial information, allowing participants to dynamically interact with input, analysing alternatives, and empowering individuals and groups (Sieber, 2006). With respect to local knowledge, the ability to include this is one of the strengths of PPGIS, as “indigenous technical knowledge is normally more reliable, and maybe also be more accurate, because it embodies generations of practical essential knowledge.” (McCall & Minang, 2005, p. 343). 6.1 As with PGIS and PPGIS, the geographical information that emerges from citizen science projects is Volunteered Geographic Information (VGI). VGI is defined as the harnessing of GIS&T tools to create, assemble, and disseminate geographic data provided voluntarily by individuals (Goodchild, 2007). This may be gathered through the tools and techniques of engagement, previously mentioned, and should be structured in a way that captures the necessary information for the project as well as metadata to improve robustness and verifiability of data (e.g. name of contribute, date, etc.). Any information deemed sensitive in nature should have security permissions set to restrict access, upholding necessary agreements with data contributors and project coordinators. 6.2 Quality and degree of participation are both important factors that may not only affect participation, but also outcomes of the project. The quality of participation is described as the extent to which a project’s goals and activities align with, respond to, and are relevant to the needs of the interests of public participants (Shirk et al, 2012). The degree of participation is understood to be the extent to which individuals are involved in scientific research – from asking research questions through analysing data and disseminating results. Linus’ Law is relevant to VGI, which suggests that as the number of contributors of data increases, so does the quality of the products of the data (Neis & Zielstra, 2014). Therefore, increasing the quantity of participants, may subsequently also increase the quantity and quality of data contributed. 6.3 Even with the collection of metadata and moderation, there may be concerns over the validity of data collected as part of Citizen Science projects. Recent studies have also shown that data from volunteers are as reliable as from professionals (SciStarter.com, 2017); this may require reflection on the part of academics and scientists to adjust their continued practices for use and understanding of such data sources. Regardless, to avoid issues, learning materials and training workshops should ensure that those collecting the data are using the tools correctly and data should be periodically checked to ensure quality, removing occasional inaccuracies. Data storage structures should also be designed to be compliant with internationally recognised standards, such as ISO19157 (International Organization for Standardization, 2013), which establishes the principles around the quality of geographic data; this defines components for describing, measuring, evaluating, and reporting on geographic data quality. Following this or similar standards will ensure when data are initially input they are done so in a way that facilitates their completeness and compatibility with other datasets and systems, improving their reliability and trustworthiness. 7.1 Any and all developed analytical techniques, solutions and derived knowledge using GIS&T as part of the Citizen Science project should be shared with the project participants at the end. It should be noted that people have an inherent tendency to trust maps, frequently more than they trust their spatial abilities to navigate in space, but this trust is not always rational, given the complexity of GIS&T interfaces and spatial data. The types of collaborations and interactions that are enabled via GIS&T interfaces in the context of data collection and analysis have the potential to improve trust, by minimising risk and uncertainty through effective visualisation (Skarlatidou et al., 2013) and two-way communication. There is further evidence that these participatory processes with GIS&T can increase trust, which in return may further improve trust within communities. As Goh (2002) suggests, trust may be further increased between participants and scientists or experts via information sharing and support structures (e.g. technology, training, skill development, rewards and organizational design), which build knowledge capacity and help maintain close relationships. 7.2 When working with communities, it is imperative to be sensitive to any cultural needs and foster mutual ownership of processes and products (Viswanathan et al, 2004). Involving the community in recruiting participants, designing and implementing activities, and interpreting findings may provide benefits such as greater participation rates, increased external validity, decreased loss of follow-up, and increased individual and community capacity. However, this may also introduce selection bias, decrease randomization, and may potentially lead to the selection of a highly motivated group that is not representative of the broader population (Viswanathan et al, 2004). Researchers must bear these and other factors in mind when getting involved with a community, as they have a responsibility to project participants to do no harm. If at any point the goals of the project are at odds with the community or its environment, the researchers have a duty of care to cease activities that may be detrimental to project participants. Bowser, A., Hansen, D., He, Y., Boston, C., Reid, M., Gunnell, L., & Preece, J. (2013, October). Using gamification to inspire new citizen science volunteers. In Proceedings of the first international conference on gameful design, research, and applications (pp. 18-25). ACM. Budhathoki, N.R, Nedovic-Budic, Z., & Bruce, B. (2010). An Interdisciplinary Frame fork Understanding Volunteered Geographic Information. Geomatica, 64:1, 313-320. Coleman, D.J., Georgiadou, Y., & Labonte, J. (2009). Volunteered Geographic information: the nature and motivation of produsers. IJSDIR, 4:1, 332-358. Haklay, M. (2015). 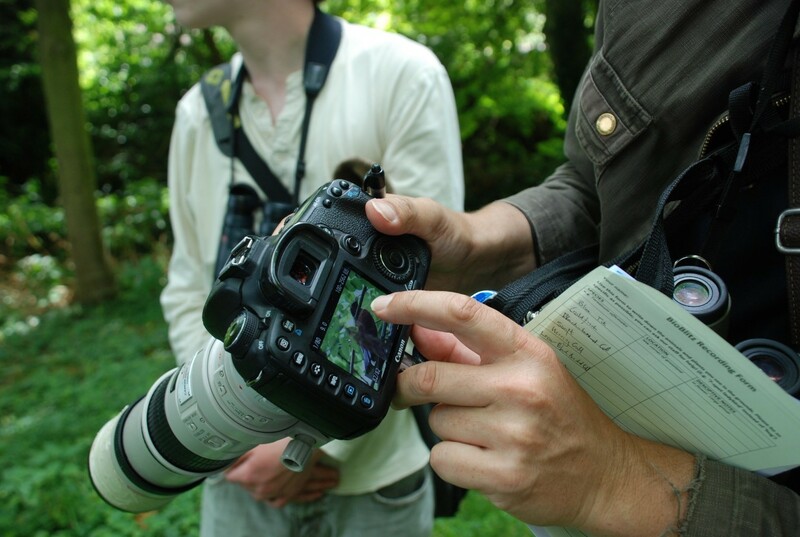 Citizen Science and Policy: a European Perspective. Washington DC: Woodrow Wilson Center for International Scholars. McCall, M.K., & Minang, P.A. (2005). Assessing participatory GIS for community-based natural resource management: claiming community forests in Cameroon. The Geographical Journal, 171:4, 340-356. Neis, P. & Zielstra, D. (2014). Recent Developments and Future Trends in Volunteered Geographic Information Research: The Case of OpenStreetMap. Future Internet, 6, 76-106. Shirk, J. L., Ballard, H. L., Wilderman, C. C., Phillips, T., Wiggins, A., Jordan, R., McCallie, E., Minarcheck, M., Lewenstein, B. V., Krasny, M. E., & Bonney, R. (2012). Public participation in scientific research: a framework for deliberate design. Ecology and Society, 17(2). Sieber, R. (2006). Public Participation Geographic Information Systems: A Literature Review and Framework. Annals of the Association of American Geographers, 96:3, 491-507. Skarlatidou, A., Haklay, M., & Cheng, T. (2011). Trust in Web GIS: The role of the trustee attributes in the design of trustworthy Web GIS applications. International Journal of GIScience, 25:12, 1913-1930. Demonstrate an understanding of models of participation (contractual projects, contributory projects, collaborative projects, co-created projects, collegial contributions) (Shirk et al., 2012). Describe the five elements of the Framework for citizen science projects (inputs, activities, outputs, outcomes, impacts) (Shirk et al., 2012). How would you go about collecting initial information around a potential topic of interest for a Citizen Science project and what might be some ways of presenting it to a community that would use GIS&T? What might be some examples of culturally sensitive issues that may arise as part of a Citizen Science project that GIS&T tools would have to take into account? What methods could you employ to improve trust not only in the data collected by GIS&T tools on Citizen Science projects, but also with people to encourage participation and contribution? Bonney, R., Ballard, H., Jordan, R., McCallie, E., Phillips, T., Shirk, J., & Wilderman, C.C. (2009). Public Participation in Scientific Research: Defining the Field and Assessing Its Potential for Informal Science Education. A CAISE Inquiry Group Report. Washington, DC: Center for Advancement of Informal Science Education (CAISE). Capineri, C., Haklay, M., Huang, H., Antoniou, V., Kettunen, J., Ostermann, F., & Purves, R. (Eds.). (2016). European Handbook of Crowdsourced Geographic Information, Ubiquity Press, London. Geoghegan, H., Dyke, A., Pateman, R., West, S., & Everett, G. (2016). Understanding motivations for citizen science. Final report on behalf of UKEOF, University of Reading, Stockholm Environment Institute (University of York) and University of the West of England. Russell, S. A. (2014). Diary of a Citizen Scientist: Chasing Tiger Beetles and Other New Ways of Engaging the World, Corvallis: Oregon State University Press.